Differing from the creation of Facebook and Twitter, these being the most used social networking sites in the Western world, Sina Weibo was established as a spin-off from another already successful company, rather than a start-up. Sina Weibo was created and owned by Sina Corp, China’s tenth most grossing Internet Company, earning 620m yaun in renvenue in 2012 (China.org.cn 2013). Sina Corp is a multimedia online company that owns sites sina.com and sina.cn and now social network site weibo.com., giving users access to both professional and user generated content (Sina.com 2009). Sina Weibo’s main competitor is Tencent Weibo, which is owned by China’s top ranked Internet company Tencent Holdings, with Tencent Weibo having 580m registered users and Sina Weibo having 556m (China.org.cn 2013; wearesocial 2014). Tencent Holdings isn’t the direct competitor for Sina Corp, however after the buzz created by Sina Weibo at its launch in August 2009, directly after the blocking of Twitter, Tencent Holdings chose to leverage its user base to create its statistically more popular social network Tencent Weibo (Epstien 2014). “Chao hopes his Weibo’s market-topping success will one day remake Sina…into a dominant social networking platform like Tencent” (Epstien 2014). The premise behind the creation of Sina Weibo was to create something that replaced Twitter and the Chinese Twitter clone Fanfou, but wasn’t Facebook as China already had RenRen. Charles Chao, Sina Corp’s CEO, came up with Sina Weibo just at the time when the government most feared microblogs, however it was approved and this fact arguably contributed to its success (Epstien 2014). Also much like its Western counterparts, Sina Weibo is free to use, given that I was able to sign up for an account without any prompt for money, however you could argue your cost is your privacy, as it is with most social network sites, the data you place on the site can be mined by marketers and developers through the sites API (Bamman et al 2012). However it is important to note that Chinese citizens don’t have the same concept of privacy or freedom that us in the Western world do, so whilst we as users of Western social networks have an issue with Facebook owning our content (even though we signed it away upon registering), Chinese users don’t seem to have the same qualms, rather they have found ways to avoid being censored through memes and jokes (Anti 2012). Interestingly, the opposite has happened, and the rise of weibo has changed the Chinese mindset and enabled them to have a public sphere and realise the importance of freedom of speech, whilst Western users of social networks have come to realise what it’s like to have that birth right taken away from them (Anti 2012). As most people are aware the Communist Party of China governs China, and as part of this regime “The Great Firewall of China” heavily censors the Internet in China. 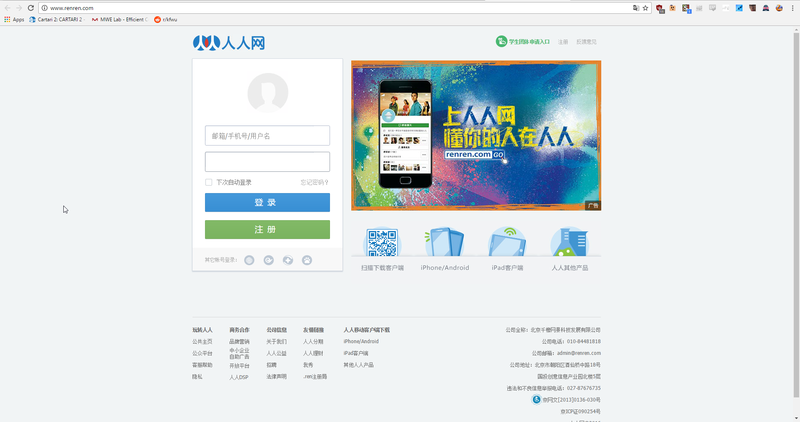 In terms of social media, this firewall has entirely blocked any web 2.0 site that originates outside of China and simultaneously the Chinese government has managed to clone each site for its country’s use. As Michael Anti states in his TEDGlobal talk, “On the one hand, he wants to satisfy people’s need of a social network, which is very important; people really love social networking. But on the other hand, they want to keep the server in Beijing so they can access the data any time they want”. Sina Weibo is the clone of Twitter and was founded just one month after Twitter was blocked in China, and just like Twitter it has become the newest media platform enabling people to interact with eachother in a public sphere (Anti 2012). If it hasn’t been on Weibo than it hasn’t happened. However there are some limitations to this given that the government monitors and censors content on Weibo, which is achieved in many ways. The first was the attempt to fully implement of the ‘real name’ policy in March 2012, which requires users to put in their full name, phone number and identification number and enables the government better control over what people say due to being able to track them down easier (Robertson 2012, Ghedin 2013). When I signed up to Sina Weibo I was also required to put in my phone number, however due to my name being English I was suggested names that contained Chinese characters, of which I chose Melissa精彩, which means ‘Melissa Wonderful’ in English, implying that I somewhat bypassed the ‘real name’ policy because of my English name. I was still able to sign up without an I.D number, implying that the strength of the ‘real name’ policy is still rather weak. Interestingly, Facebook has also now implemented a ‘real name’ policy, however it only succeeded to discriminate against those in the LGBT community (Montgomery 2014). The second way that the Chinese government and Sina Weibo have restricted the free speech of its users is through introducing a ‘user contract’ in May 2012 that runs on a points system (Russell 2012). As a user I was given 80 points when I signed up, and have a maximum of 100 points according to Russell, which will be retracted for bad behaviour, and once you have reached 0 points your account will be deleted. Upon finding out about what the points system was for, I tried to search for the user contract, but I was unable to find it. Instead I have found a translated version to read here. My inability to find it may have been due to my language barrier, either I was given the option to read it and didn’t realise or it does not appear on the translated page. 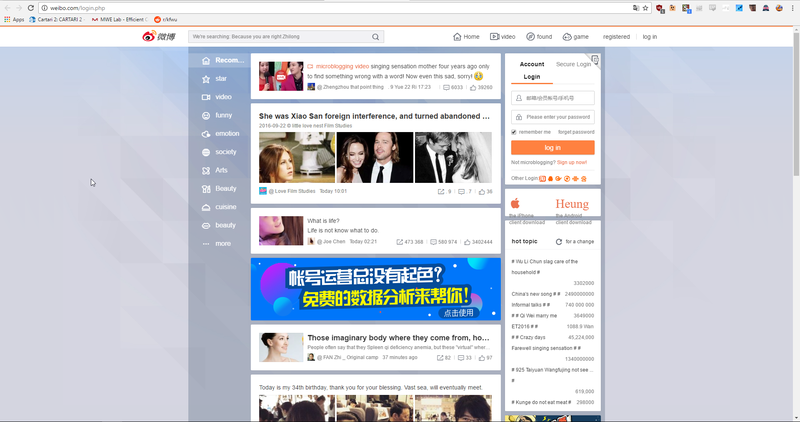 The user contract contains several clauses, many of which restrict what can be posted on Sina Weibo, although Michael Anti points out that Chinese users have found ways around this by using memes, puns and humour, which would explain why in my experience of my home page that most things trending seem to appear to be jokes or humour. http://blockedonweibo.tumblr.com is a Tumblr page that has been developed to track what is blocked on the site for a Western audience. Now, we all know about Tinder and exactly what Tinder is for. I began to think about social networking and how in Australian cultures it has moved from Facebook (used to connect with people you know) to Tinder (used to connect you with people you don’t know). Interesting concept and made me think that surely there is an Asian equivalent. 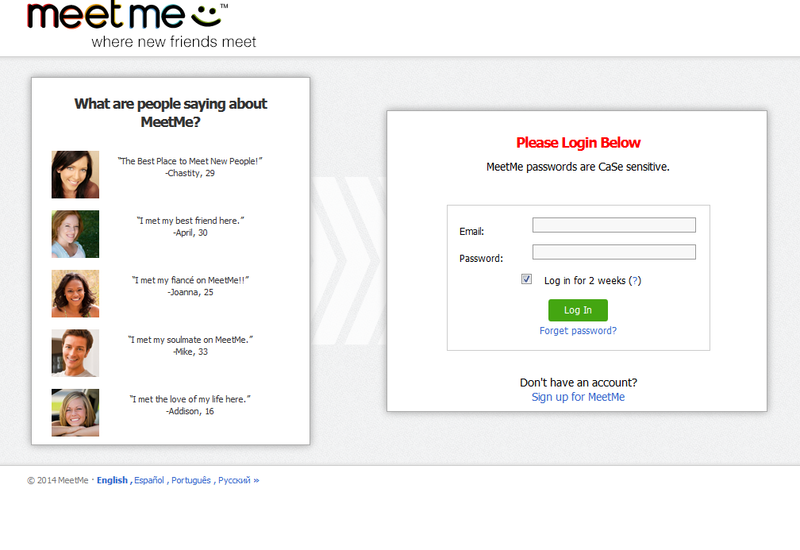 Meet Me is a sort of Tinder equivalent (not sure if its applicable on a mobile device) but it’s tagline is “where new friends meet”. It is interesting to note that online dating is prevalent in all cultures. Although I found that apparently Meet Me is used for more of an ‘ego boost‘ rather than actually ‘looking for love‘. I find it interesting that there would be such a site where people post photos of themselves and find a sense of satisfaction when COMPLETE RANDOMS RATE THEM A 10. Kind of makes me think that it’s a bit of a joke. Once I found this I did a Google search of “Asian online dating”… I didn’t exactly get what I was after it was more of a result of LOOKING FOR ASIAN LADIES not ASIAN as in the continent. I continued my search and came up with a site called ‘Paktor‘. This is an app, you are able to pick your distance – your photos are on priviate until you both like each other – and you are able to chat once you’ve been matched (much like Tinder it seems – I wonder which came first!). James Farrer, 2009 “Online dating in Japan: A test of social information processing theory”. [ONLINE] Available at: http://online.liebertpub.com/doi/abs/10.1089/cpb.2009.0069. [Accessed 16 October 2014]. After much discussion, research and deliberation I have finally nutted out what I’m going to focus on for my autoethnography, and how I’m actually going to make Chinese social media autoethnographic. Autoethnography is explained as an approach to research that describes and analyses personal experience in order to understand cultural experience (Ellis, Adams & Bochner 2011), and in order to have a personal experience of the cultural experience of Chinese social media, I have created a Sina Weibo account. I have decided to use this account to investigate Chinese social media first hand and create a research report that aims to teach an Australian audience about social media in China, and more particularly about the platform Sina Weibo. Over the next few weeks I will be documenting my experience of the site, any challenges that occur and how the site and my interactions with it differ from my own Australian experience of social media. I chose to create an account on Sina Weibo as it has 559million subscribed users worldwide, and 129m in China, making one of the most popular (wearesocial 2014). Also there is an English version of the app, which will allow me to have a more realistic experience of China’s social media landscape with 73% of Weibo users accessing the site through mobile devices (wearesocial 2014). The app itself is just an English interface, meaning it doesn’t actually translate the posts, so to actually read posts on the site I need to use Google chrome and its translation feature on my laptop. The signup process was relatively similar to that of Twitter, however I found the verification code harder to crack than normal. Also due to the emphasis placed on the use of mobile devices, I was required to enter my mobile number to gain another verification code via text. The extra emphasis placed on security I assumed could be attributed to the level of internet security China exhibits due to its extreme censorship, or it could just suggest that our social media sites are not so secure. My name on Sina Weibo is Melissa精彩 , this was suggested and I translated the characters and they mean wonderful, so for the next five weeks I will be known to Sina Weibo users as this. Language and my location became a barrier to my sign up experience as not all writing translated and often Australia was not listed as an option. I had to put an area code in front my phone number, Google the characters for gender, translate my name to Chinese characters for the site to recognise it as a ‘real name’ and put my school as ‘other’ due to no Australian schools being listed, despite it being an option on the initial sign up page, which suggests that there is very few Australian users of the site. However, I made it through and my profile can be viewed here. Feel free to check up on account and give me some feedback on my progress, or even better create an account and join me for the journey.